A couple of the museum’s own (super tough) gapers. The ski season wouldn’t be complete without an excess of vividly dressed–though sometimes undressed–snow-seekers zipping down Blackcomb Mountain. The final day of the season is of course known as Gaper Day; a glorious day filled with retro ski gear, animal costumes and slushy events. Above we have Collections Manager Brad Nichols and our new Collections Summer Student Alyssa Bruijns after enjoying their final runs of the season. We hope everyone had as much fun as these two did! 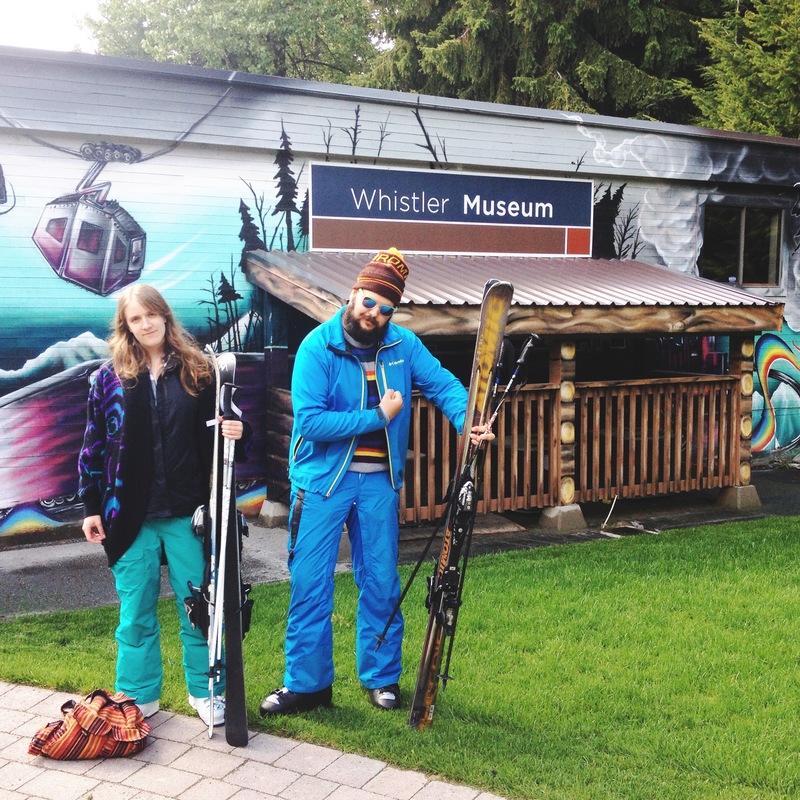 Find us on Instagram @WhistlerMuseum for more snazzy snaps! This entry was posted in Recreation, Skiing. Bookmark the permalink.